Successful travel agency marketing, whether to potential customers or existing clients, is critical when growing your travel agency business. Appealing travel marketing tools, materials and campaigns such as responsive website, email newsletters, travel brochures, itinerary maker, social media, etc., can create new selling opportunities. Using travel agency marketing tools can give your travel agency a boost in travel leads. The RezSaver marketing solution provides easy-to-use marketing tools for creating custom marketing products for travel agencies to deliver directly to clients. 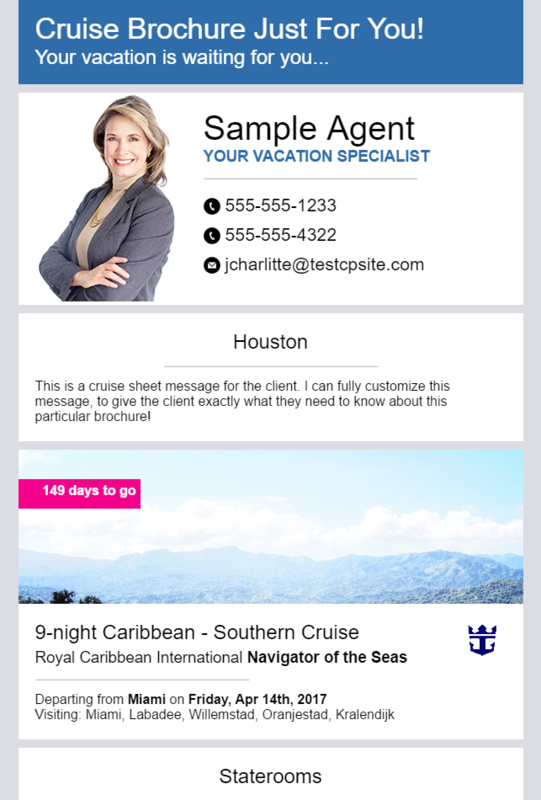 Choose between custom travel brochures for cruises and land vacations, or an eCard campaign to target (birthdays, anniversaries, vacation reminders, etc.) specific clients. RezSaver also supports travel agency-wide marketing materials! Create and manage travel agency marketing campaigns and materials for the agency using a single dashboard. Allow travel agents to access all the materials without having to send mass emails, or manage complicated folders for new materials. Pair RezSaver marketing with Vecto Technology's Trip Summary, an itinerary building tool, to send beautiful, comprehensive itineraries directly to clients. The bottom line is, if you are interested in creating beautiful and professional targeted marketing pieces without having to hire a separate marketing company, Vecto has the best travel agency marketing tools for you. Request more info about how we can help you get your message to your clients through our travel agency marketing tools.